Here’s your chance to get something autographed by Steve Jobs, but you’ll need to bring your wallet. 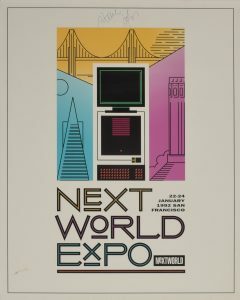 An auction for a NeXTWORLD poster autographed by Steve Jobs currently has 31 bids and stands at US$11,000. The poster, which was autographed by Steve Jobs in 1992, is part of an online auction by RR Auction. Bidding ends on March 8th. Below is the poster—Steve Jobs’s autograph is in the top border. 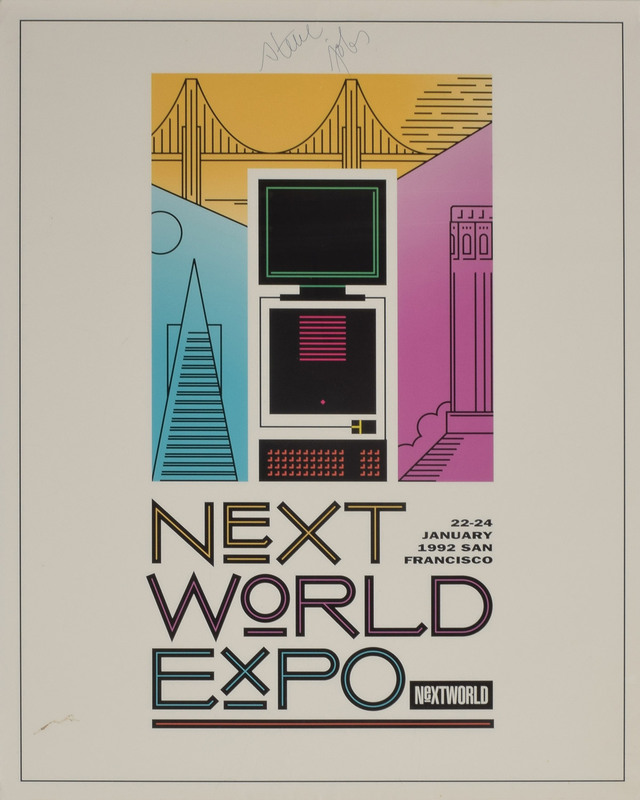 NeXTWORLD was the name of a NeXT-centric trade show, and this poster was made to promote the inaugural event held from January 22nd, 1992 to January 24th at San Francisco’s Civic Auditorium and Brooks Hall. Steve Jobs would most likely be appalled that his signature would be collectible, but such is the nature of a human being’s legacy. It’s in the hands of his or her survivors. 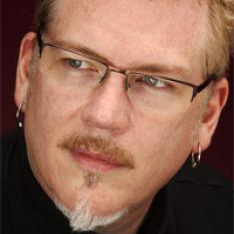 And it turns out there are a lot of folks who admired this particular human being. Only thing is he didn’t often autograph…anything. I can’t recall another non-contract with his signature on it coming up for auction. That’s one reason RR Auction is estimating this poster will top $20,000. This auction ends at 5:00 PM PST on March 8th.